A bid by golf course bosses to register the name ‘St Andrews’ as a trademark has been thrown out by European intellectual property officials. St Andrews Links wanted the name of the Fife coastal town to be protected in a move to stop other companies around the world branding their products with the moniker. But having had its application to the European Union Intellectual Property Office (EUIPO) turned down in 2016, an appeal against the decision has now been dismissed by the EU General Court in Luxembourg. St Andrews Links commercial director Danny Campbell said: “We have a very strong trademark portfolio for St Andrews in key classes for golf related goods and services within the EU, and throughout the world. “We are committed to ensuring our customers’ experience is not compromised by other parties who try to profit by using our brand. 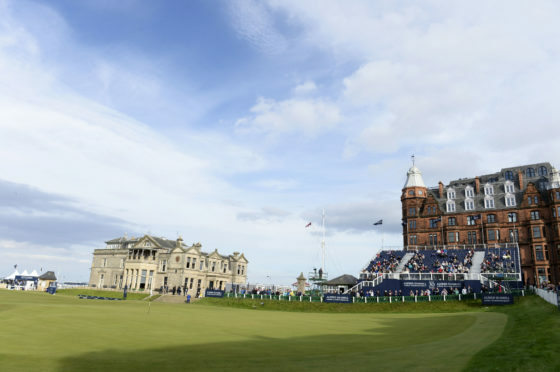 It was also said that in addition to St Andrews Links’ golf courses, there were “several other major golf courses which lay claim to part of the heritage of St Andrews”. Campbell Newell, a partner at Edinburgh based intellectual property services Marks and Clerk’s, said: “Generally, geographical place names should remain free for bona fide usage because positive association between a place name and a mark may potentially influence a consumer.